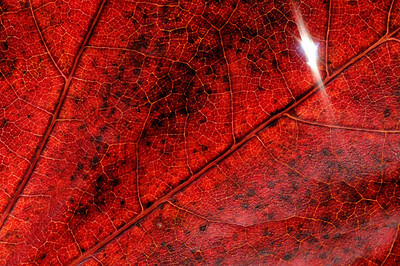 Sunlight bursts through a tiny hole in a maple leaf, which has turned from green to crimson and fallen from its tree, the fate of billions of leaves every autumn. 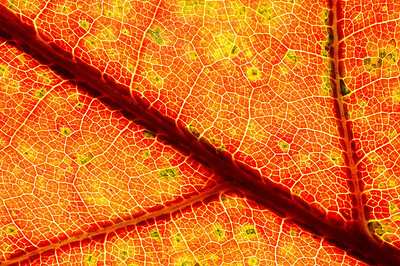 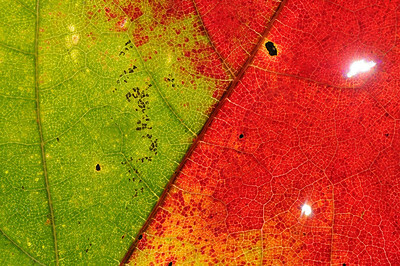 When green this leaf did an amazing thing – it captured energy from sunlight to extract carbon from the atmosphere, producing sugars for growth and releasing oxygen in the process. 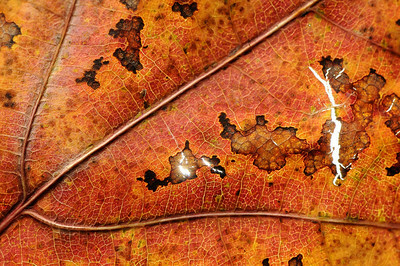 That energy and carbon are still in the leaf; in some distant future the leaf may form part of a coal or oil deposit. 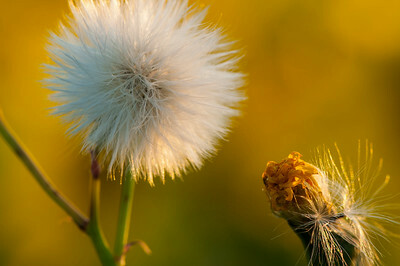 Plants can use the sun’s free energy right now in a manner far beyond anything humans can do.